Walk It - There are lots of public footpaths in our area, two go through our farm. We have maps and walk books you can borrow. Take a look at our walking and cycling page for just a sample of the walks and cycle rides available. Bus It - There's a bus stop at our farm road entrance. Bus time tables are available in your rooms. And there is the famous Pendle Witch Hopper. Train It - Clitheroe Interchange and Whalley train station are close. Buses from Sabden go to both. Train timetables are in your rooms' welcome folders. Sport It - Golf, crown green bowling, fishing, Pendle Ski Slope, para and hang gliding, horse riding are all within three miles. Buy It - If shopping is your thing Clitheroe is a traditional market town with plenty of independent shops and market. Just down the road in Sabden village is the Pendle Antiques Centre and more aniques shops can be found in Cliheroe. Just over the hill are the famous Boundary Mill and Pendle Village Mill shops. Craft It - If you are looking for a unique gift or would like to try your hand at a new craft, then you don't have far to go. The Platform Gallery holds contemporary craft exhibitions, and has a beautiful selection of gifts in the Craft Shop, and also run workshops. A little further afield in Chipping is Brabins Shop and Gallery, that holds exhibitions throughout the year and has a tea garden serving light refreshments. For anyone interested in textiles National Trust's Gawthorpe Hall is a must. Clitheroe Castle, with its newly refurbished museum and 12th century keep, are a must not just for the history but also for the magnificent views over Clitheroe and the Ribble Valley. Also for history buffs are the Abbeys of Whalley and Sawley. In both cases, in addition to the ruins, there are riverside walks, country pubs and at Whalley plenty of interesting shops and a vibrant Farmers Market. Samlesbury Hall a fellow GTBS member is a wonderful Tudor timber framed hall packed with history why not combine it with a visit to nearby Brockholes nature reserve. If you like Historic Houses also visit Gawthorpe Hall and Browsholme Hall. A good family day out can be enjoyed at another fellow GTBS member the Bowland Wild Boar Park. 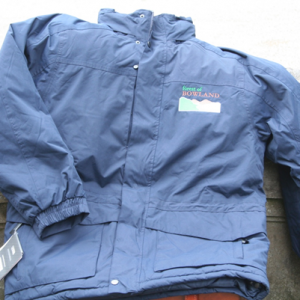 Take a look at the fantastic Bowland clothing and merchandise range by The Bowland Clothing Company based in Ribchester. 60% of the profits from these sales will be donated to Champion Bowland which gives easily accessible small grants for Bowland projects which benefit the environment, local communities and visitors.